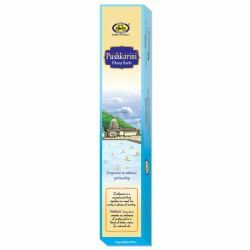 Just like bathing in the sacred pond “Pushkarini”, is said to cleanse and purify a person, the fragrance of Pushkarini Sambrani enhances spirituality creating an ambience of purity, positive energy and tranquillity in your surroundings. 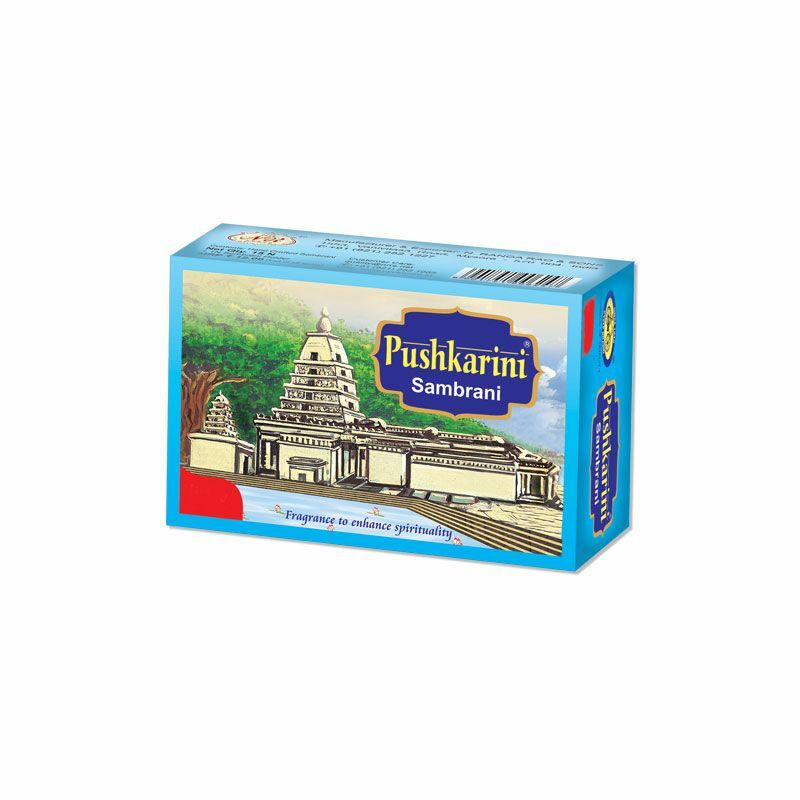 Pushkarini Sambrani a beautiful amalgamation of resin along with herbs and natural oils that are blended together to give a fragrance that is so pure and divine. Sambrani is known for its distinct balsamic fragrance. 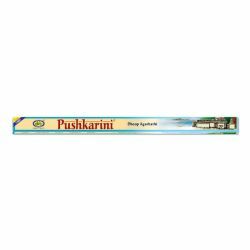 The fumes blend with the air and infuse the surroundings with an amazingly alluring aroma that cleanses the air and energy in the surroundings.